Concrete Renovations Inc takes pleasure in transforming dull or plain concrete floor slabs into beautiful practical concrete flooring for both homes and all types of businesses. 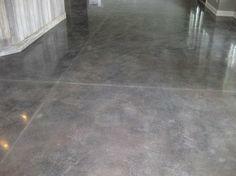 We work together with our clients to produce acetone stained or dyed concrete floors that suit particular briefs. Concrete dye and staining applications produce a natural translucent and variegated color scheme within the surface. Re-work existing concrete and you will be surprised! Over the years we have somewhat specialized in re-working existing concrete. 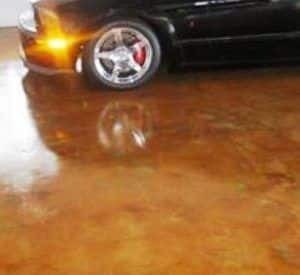 Stripping, grinding and polishing concrete, coupled with our stain/dye application gives great results. With the use of concrete stains and dyes, we can even patch and blend ‘patchwork’ sections of old slabs and give the floor continuity across areas in the slab which looked out of place.